Even after a tearful apology video and an entire vlog dedicated to suicide, 22-year old vlogger Logan Paul can't seem to catch a break. In a new interview, Paul reveals that he's hurt by people telling him he should commit suicide, after posting an incredibly insensitive video on YouTube of a dead man hanging from a tree in Japan's Suicide Forest this past December. The video was quickly taken down by Paul himself, but it had already amassed millions of views and is still pretty easy to find. Logan Paul and a friend can be seen laughing and giggling as they stumble upon the man hanging from a tree. In his first official interview since the incident, Logan Paul was asked about his decision to put the video up in the first place and he responded by saying that he was just trying to entertain people with "interesting content." The content was interesting, but not in the ways that Paul had hoped for. Instead of increasing his YouTube fame, it seemingly torched his career. Logan Paul had this to say about his decision. "The idea was to do just another fun vlog, go camp for a night and make an entertaining piece of content in a forest and things obviously changed pretty drastically and quickly. I'm a good guy who made a bad decision." In another interesting twist of events during the interview, Logan Paul actually turns the whole thing around and plays the victim card. The disgraced YouTube vlogger admits that he's sad that he's getting people online telling him that he should commit suicide. It's apparently been pretty tough for Paul since he launched a video glorifying suicide, laughing and giggling. He had this to say. "Ironically, I am being told to commit suicide myself, millions of people literally telling me they hate me, to die in a fire. It's been tough." When asked how YouTube and Google dropping him from their top tier advertising affected him, Logan Paul was able to pull himself out of his pity party for a moment. As it turns out, even with YouTube and Google taking them out of their top tier, the 22-year old vlogger is still doing fine. Paul said, "It hurts... but it's not like I'm drowning." However, Logan Paul claims that he doesn't do it for the money and that it's never been about the money. Instead, it's about "creating and making other people happy." Logan Paul believes that he posted the video for a reason, which is now his new calling in life: to bring awareness to suicide prevention. Paul believes that not enough is done publicly to address suicide, so he's started a new movement to bring suicide prevention and awareness to the masses. 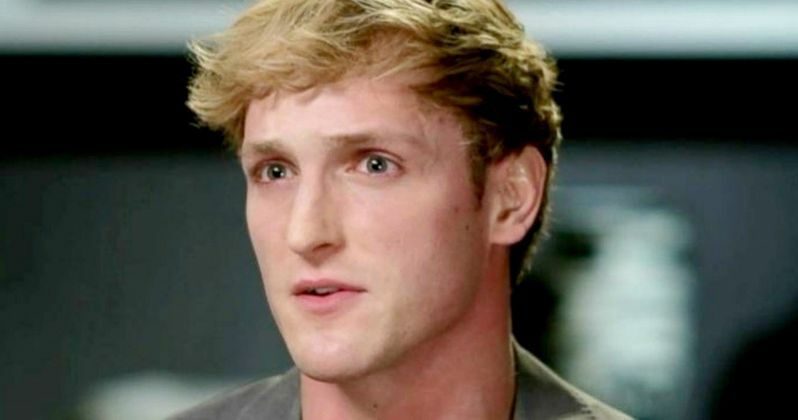 Logan Paul still has 16 million followers on his YouTube channel, many who still support him, so who knows, maybe he can turn this incident around into something positive. You can check out the entire interview with Logan Paul over at Good Morning America's Twitter account.